William Ambrose Wright was born in Ironbridge, Shropshire on the 6th February, 1924. He attended Madeley Senior School and was a star for the school team although not as a defender, but as a centre forward. In one game he netted 10 goals. He was an Arsenal supporter as a lad but when Wolves advertised in the local newspaper for youngsters to go to Molineux for trials, Billy was one of the first to apply. He was only 14 years old when he made his debut for Wolves in a B team game against Walsall Wood in the Walsall Minor League after being accepted on an eight month trial. Major Frank Buckley, Wolves' manager, wasn't convinced of the youngster's talents and at first he told Billy that he wasn't going to make it as a professional footballer. Luckily for Wolves he had a change of mind and Billy Wright went on to become one of the greatest names in not only the long and illustrious history of Wolverhampton Wanderers, but world soccer too. Billy made his debut for the first team shortly after the outbreak of the war in the 2-1 victory at Notts County. At 17 he signed as a professional and he turned out as a guest for Leicester City along with Jimmy Mullen after the worsening war situation prompted Wolves to suspend competitive football. For the Foxes he played as both a forward and a defender before he returned to Molineux in 1942, and broke his ankle in a cup-tie with West Bromwich Albion. He joined the army in 1943 as a Physical Training Instructor and he played for Wolves whenever possible making over 100 appearances for the club in wartime football. When peace was restored and soccer returned to normality, Billy was to miss only eight games playing in the wing half position of that first post war season in l946/7. Stan Cullis retired from the playing side of the game at the end of that season and Billy was appointed captain of the club in his place. In the following two seasons he was to miss only ten games and he picked up his first major honour when Wolves overcame Leicester City in the 1949 FA Cup Final. In 1949/50 the team finished as runners up to Portsmouth on goal average despite a valiant end of season run that saw them winning seven of the last ten games - scoring ten goals in the last two. Fortunes for the club then took a downturn and in the following season Wolves slumped to a disappointing 14th position in the league and also lost out in the semi-final of the FA Cup to Newcastle. In 1951/2 they dropped a further place but then season 1952/3 saw a marked improvement and a third place in the final league placings. But in the following term Wolves did what they had been threatening to do ever since the seasons that led up to the war. After so many near things they finally captured the League Championship. Billy Wright's captaincy was an inspiration to the team who then set about some of Europe's finest clubs and demolished them in those never to be forgotten floodlit friendlies. The next three years were again to prove almost, but not quite, as the team finished second, third and sixth respectively before in 1957/8 and 1958/9 the Championship trophy was again held aloft by Billy. In nine seasons in the fifties he only missed 31 games for Wolves and several of those absences were caused by international call-ups. Billy's record for England was exceptional. He was capped on 105 occasions, 90 of which he made as skipper, a record later equalled by Bobby Moore. He played his first full international against Scotland at Wembley in 1947, and by the time he made his last appearance 13 years later in the 8-1 thrashing of the United States in Los Angeles he had missed only three games for his country. Of his 105 games, 60 were won, 23 drawn, 21 lost and one game was abandoned. His record of 105 caps was to stand for 20 years until it was broken by Bobby Charlton in 1970. 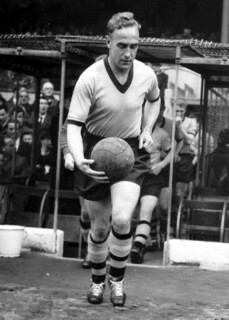 Billy Wright, captain of Wolves and England, was one of the game's greatest ambassadors. He played his last league game for Wolves, in the penultimate match of 1958/9 when Wolves overcame Leicester 3-0 at Molineux. Shortly after he was awarded the CBE. 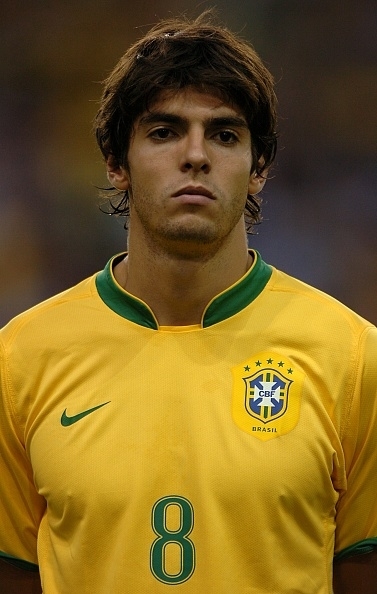 for his services to football and he announced his retirement from the game just before the start of the next season. He bid Molineux and its grateful fans farewell in the annual pre-season Colours v Whites game. Billy became manager of his boyhood heroes, Arsenal, in 1962 and four years later he left Highbury and was thereafter associated with sports coverage on ATV. He retired in 1989, and, in May 1990, he delighted Wolves fans both young and old, when he returned to Molineux as a director for one of the most popular homecomings of all time. In September, 1994, at the age of 70, Billy Wright passed away after a fight against cancer. His funeral the following week, bought the centre of Wolverhampton to a standstill as the town bid farewell to its favourite footballing son. On the second anniversary of his death, a magnificent statue of the legend was unveiled outside Molineux. So wasn't he a Southpaw player?